[HOT Software With Resale Rights] | Sell it as a Front-End Product... Sell it as an Upsell (or Downsell)... Add More Value to Any Offer ... And Keep 100% of the Profits. The Possibilities are Endless. Create MASSIVE Websites From Your Articles (PLR Articles etc) with Just Some Clicks! If you have tried all of that and more... can tell you that know how it feels. I've been there before. Now, what if i told you that there is a fast, smart and easy way to have a hot product to sell and that you can keep 100% of the profits on every sale. It's not any kind of product, but a software product (which has a higher perceived value than eBooks). And what if i told you that this software product comes with EVERYTHING that you need to start selling it right away.. Yes, there's nothing else to do. No development costs (which are huge) or energy involved.. Yes, We Did All The Hard Work For You! From A-Z, It's all Done For You. Selling Software Rocks, But Software Development Takes Too Much Time & Money! Most of the Top Marketers sell software for a reason: It converts 500% better than other digital products (like ebooks etc). But there's one problem: developing a software product takes a lot of time...and Money. Just see some numbers. Yes, until today selling software was only reserved to people with deep pockets. And this is why most of the internet marketers only develop info products (which don't convert as good as software products). Thankfully, We took Care of Those Things For You, By Developing a Full Software Product That You Can Sell Today... For 100% Profit. 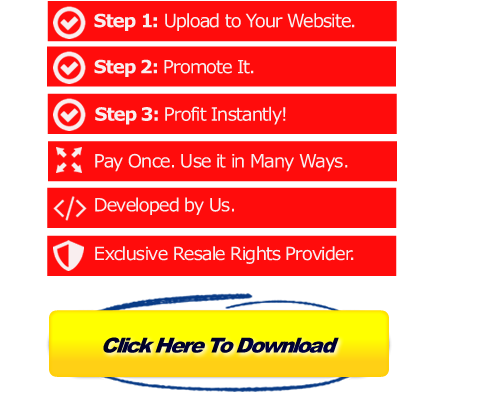 A New Software With Resale Rights That You Can Sell For 100% Profits. 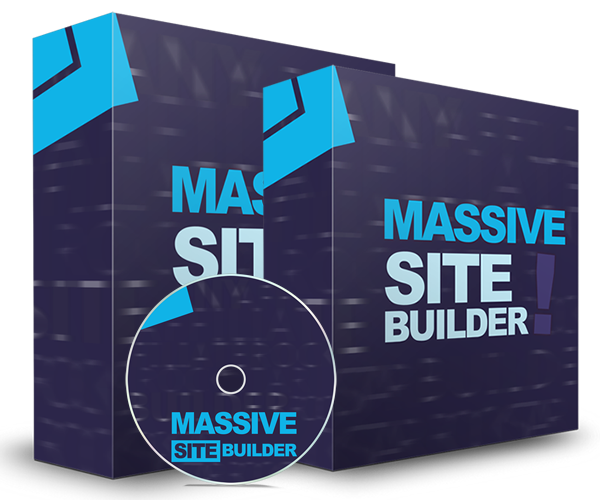 Massive Site Builder is a Windows software that allows anyone to create BIG websites (with 10's or 100's of pages) with just some clicks. Yes, Just Pick Some Articles from Your PC, enter the url of an Offer that you want to promote (your product or an affiliate product), and You're Ready to Go. This is the Main Reason to Sell This Product To Your Customers: To Keep Them Happy! "Product of the Day Award"from WarriorPlus. + There Are Many More! You Get A Complete Done-For-You Package! This is the core value of the package and could cost you a lot of money to develop. It's a Windows software that your buyers will love to have and it could make you money for years to come. You're One Click Away From It! Get Access to the Full Package at a Special Price. Secure Your Copy Today at a Special Price! Is The Software For Windows? Yes, the software has been developed by us. Yes, Only for technical reasons (60 days), which means that if you have a technical problem with the software and we can't fix it, we'll be happy to refund your purchase. Yes, if you'd like to sell the software with your own brand, we'll offer you this option as an upsell (only if you buy the Full Package). As The FTC Rules Require, We Want To Let You Know That Results Are Not Typical We Obviously Don't Guarantee or Imply That By Using Our Software You Will Get Rich or Make Any Money At All. We're not responsible for the way you use this software. And That Your Income or Results, if Any, Will Vary. We re not responsible for any loss or damage that may come from the use of this software. We'll Get Back to You Within 4-12 hs (Mo-Fr).